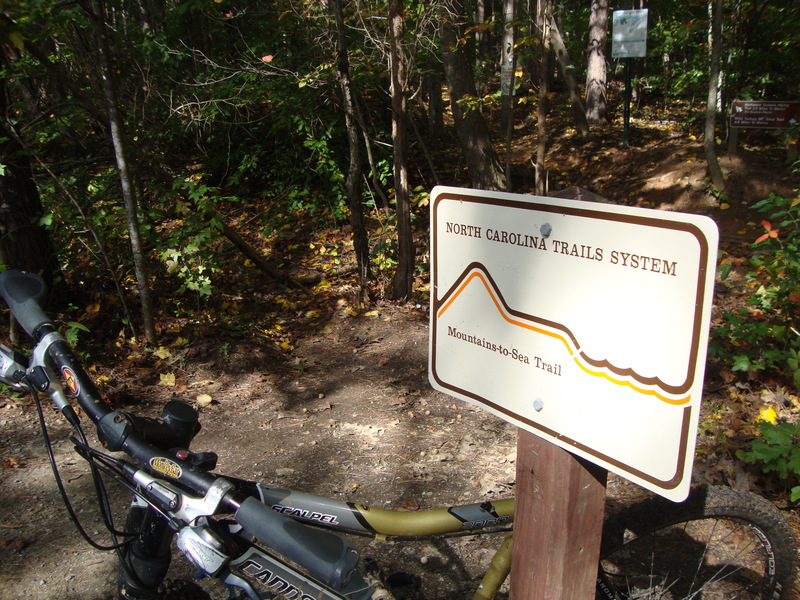 Greensboro, NC might not be on the radar as a mountain biking destination for a road trip like Asheville/Pisgah to the south, but if you’re going to be in the area, there’s no doubt you should bring your mtb. Bur Mil Park on the northside of the city has what is one of the best set of urban trails I’ve ever had the pleasure to experience. Situated at Lake Brandt and the surrounding watershed, if you ride them all both ways, you’re going to get 30+ miles of singletrack that varies from smooth crankfest to gnarley roots to undulating rollercoaster to berms for railing to some of the most fun log pyramids you’ll ever attempt to ride over. I parked at the Wildlife Center in the park on a beautiful blue sky morning, the kind with a few spotty clouds. The sun was warm. It was windy, but once in the trees bedecked in leaves of colorful autumnal magic, it wasn’t noticeable. Owl’s Roost was up first. Considered the top urban mtb trail in the U.S. by Bicycling magazine back in 2003, it didn’t disappoint. Some nice rooty climbs, if that’s the kind of riding you like (!) got the heart rate going, but other than that, OR, as it’s called locally, was all go-with-the-flow riding with some root sections that kept your ego in check. Be sure to ride the mega log pyramids. They’re not as bad as they look! OR ended at the paved Greenway, a recreational trail that runs down to the city. I headed south for a few hundred feet and then turned left onto Wild Turkey, part of North Carolina’s Mountains to Sea Trail. If there’s one “claim to fame” for this trail, I’d say it’s the berms. You can rip into them and maintain momentum that propels you down the trail. Wild Turkey ended a little over four miles later at the hard road. 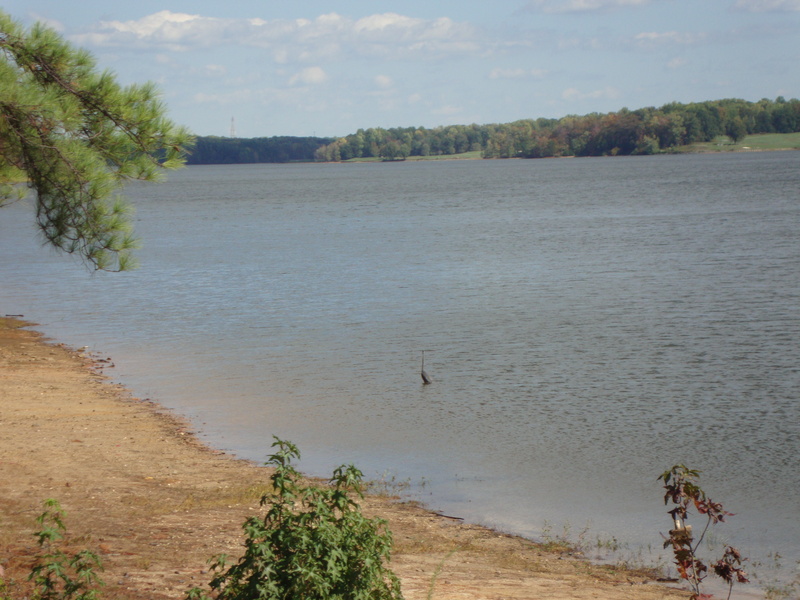 I headed north across the dam and turned right onto Reedy Fork Trail. It started out fast and flat, followed by cross country up and down riding on, more or less, a straight east-west line. I cranked it, reaching the eastern terminus in fifteen minutes or so. Crossing over Church Street, I hopped onto the newest trail, Blue Heron. It was similar to Reedy Fork, but maybe had deeper gullies of sort that you drop down into and go straight back up. 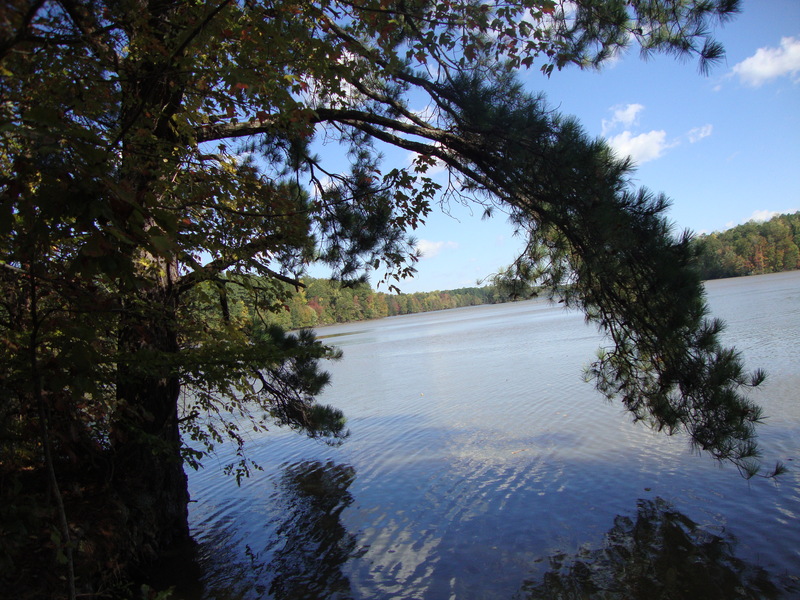 At the eastern end of the trail, you can see there is more watershed out there. 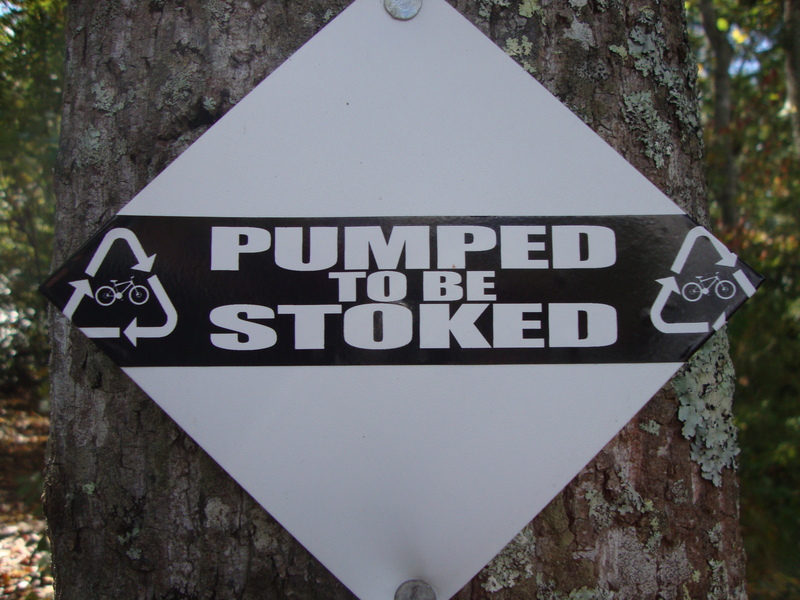 Some seven more miles of mtb trails are being planned for construction. If you ride all the trails out and back, you’re looking at 30+ miles of riding, including the connectors. Add in what will be seven new miles, and Greensboro will have near 50 total miles of riding in Bur Mil/Lake Brandt watershed when you include the Big and Little Loop at Bur Mil and some side trails off of OR. Not to forget, Country Park at the southern end of the Greenway has 4-5 miles of trails. I turned around at the end of Blue Heron and rode ’em all back to my car, confirming that no matter which way you ride, Bur Mil and the watershed has some outstanding mtbing. Congrats to the Greensboro Fat Tire Society on building a great urban mtb trail system!